I haven’t been posting a lot on my blog these days other than the 50 Day Movie Challenge prompts, and even then I haven’t been posting those all that regularly. Thought I would buck this trend and start posting about what I’ve been up to lately, whether that be film, television, comics or video games. Finally got to see Drive after hearing so much about it from the various reviews and festival coverage. Wasn’t entirely sure what to think going in, especially having no experience with any of Winding-Refn’s previous films. You can read my thoughts about the film over on the FLICKCHART BLOG, but here’s a snippet to give you an idea! Truth be told, there’s not a lot in the way of action set-pieces in the film, but the ones that do exist are brutal. When people take their exit from the film, it’s not glossed over, nor does the camera really cut away. There’s a scene in particular where very little is left to the imagination, and it’s shot in slow motion so you can get all the gory details. The violence might be a bit much for some if it weren’t balanced by the lengthy interludes with Carrie Mulligan’s character, who develops a thing for Gosling through the course of the film. 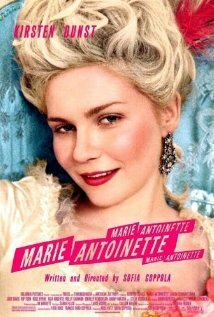 Meant to write up a review about this film on Flickchart when I saw it but was beaten to the punch by my girlfriend, Jandy. She basically said everything I was thinking about the film and did it in a much more concise manner than I would have; I tend to ramble. Perhaps the only area in which I disagree with her review and others’ would be with the Jude Law portion of the story. I thought it was a rather realistic portrayal of the blogosphere dealing with the outbreak and that it was a needed counterbalance to the mostly pro-CDC POV of the rest of the film. Or it could just be that I like that it didn’t quite fit with the other arcs in the film. I am strange like that. Unfortunately, I came into this franchise via the remake Quarantine, which I am convinced isn’t as bad as everyone says. They’re pretty much shot-for-shot the same, with the main difference being the performances of the main actresses. I enjoyed them both and was anxious to see the sequel. While it wasn’t nearly as groundbreaking as the first, it was still enjoyable and expanded the universe significantly. Props on the twist at the end, even if I was able to see it coming a mile away. My girlfriend and I decided awhile back to make lists of the films we wanted the other to see, or that we felt the other needed to see. Her list is very organized and all the DVDs are sitting out, while my list is in the recesses of my brain and mostly forgotten. 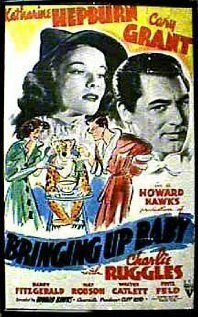 One of the films that she brought to my attention was Bringing Up Baby which is a screwball comedy featuring Cary Grant and Katharine Hepburn. Cary Grant is pretty much awesome in anything that he does and I will watch any movie he’s in just because he’s in it. Helps that this film is awesome as well, and hits my comedic sweet spot. Shame Grant couldn’t get much of a word in edgewise, though. 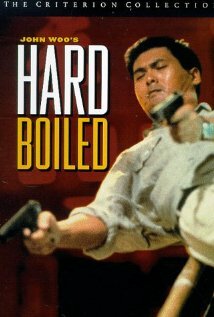 I’ve not had much experience with John Woo films, and I thought that Hard Boiled would be a good entry point. Turns out I was right. This film is nonstop awesome and even has a great tracking shot that puts most modern action directors to shame. I’m pretty sure Shoot’em Up’s premise was inspired by the scene with the baby in the end. Yes, I hadn’t seen Jaws until recently. You can pick your jaw up from the floor now. 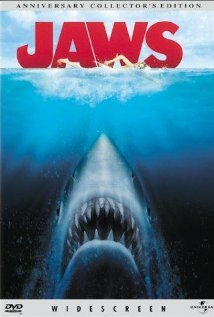 Truth be told, I’m not a huge Spielberg fan (with the exception of the Indiana Jones series) and the premise of killer sharks has never really appealed to me. That said, this film was really fun and quite engaging. The special effects have really held up well and look arguably better than most of the CGI fishies that have come after. Didn’t really care for the stuff in the beginning with the Mayor and the townsfolk. Alfred Hitchcock AD’d on this film, which was lost until recently. Well…most of it is STILL lost, but I was able to catch an Academy screening of the three reels that were recovered. It was quite interesting to see the special effects of the time and how sophisticated they were. 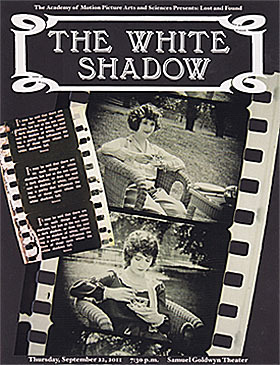 Quite a treat, and it’s awesome that more of these films are being found and preserved. Hope to see more of these in the future. My introduction to Sofia Coppola was with Lost In Translation, which I didn’t like all that much. Of course, I was much younger and not as into film as I am now. So, when this came up as part of the “must watch” list that Jandy made for me, I decided to give Coppola another try. The verdict: I need to give this director another chance. I liked that the accents didn’t match the location and that everyone listened to modern music, which is weird considering that’s what kind of annoyed me about A Knight’s Tale. I should probably give THAT another chance as well! Gone from this season was all the wonder and fun from season five. In it’s place a bunch of timey-wimey weirdness and a terrible first half, followed by too long of a hiatus and a rather weird finale. I did like that Matt Smith was able to flex his acting muscles in this season, though. That was something of a complaint I had with the previous season. Also, having the Doctor get called out on his less than stellar traits was interesting. I hope they really push that in the next season. My introduction to scribe Aaron Sorkin was through his latest film The Social Network. It was a great film and among my favorites of last year. When I found out that he had done stuff previously on the small screen, I was intrigued. Enter Sports Night. Admittedly I wasn’t too keen on the premise, given my ambivalence toward sports, but the witty dialog delivered at breakneck speed won me over fast, not to mention the great thematic material of each episode and the great character work. As a wannabe writer, this should be my textbook. Community is my favorite television comedy. I’ve thoroughly enjoyed the previous two seasons and the new one has been great out of the gate. I’m anxious to see what’s in store for the rest of the season and the plot involving John Goodman sounds like it will be interesting. You can count me among those n00bs who were intimidated by the large issue numbers and the convoluted continuities of the DC Universe. Heck, that’s the main reason why I don’t read anything currently out from Marvel. With the New 52 I’ve decided to give some of these a try. It helps that Jandy is into this as well so we can compare notes. 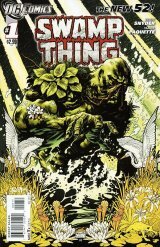 Swamp Thing is so far my favorite out of the small few I’ve read. It’s got supernatural elements, weird plant hierarchies and perhaps the neatest “big bad” that I’ve seen in a comic in awhile. The first two issues have me completely hooked. 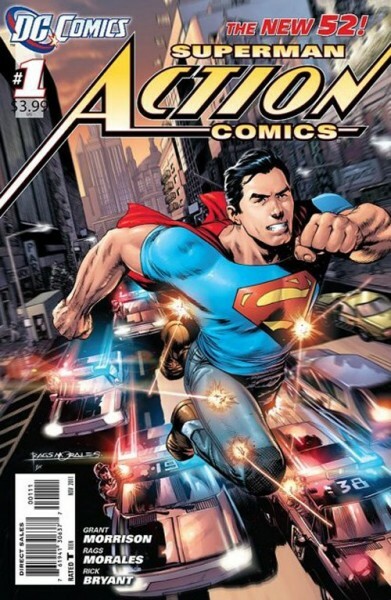 I wasn’t aware until reading these comics that Superman could be an interesting character. He’s young, rash and not the boring goody-two-shoes that’s depicted in the Superman comic out as part of the New 52. Major props to the writing here and the building of the character. I definitely plan to continue with this one. Still on the fence about the jeans and cape look. My only experience with side characters in the Batman universe is through the original television show with Adam west and Burt Ward. In it, Barbara Gordon plays Batgirl, and does so with the same groovy pizazz that Julie Newmar exudes as Catwoman. 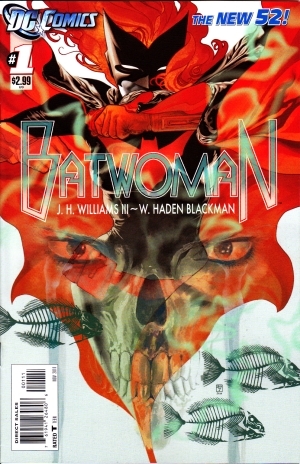 This comic is my first introduction to Batwoman, and I’ve gotta say that I’m intrigued. The art style is exquisite, with each splash page telegraphing the action brilliantly. The writing is a bit on the incoherent side, but I can forgive that with such an interesting design. I’ll stick with this a few more issues to see where it goes. A hack-n-slash RPG with no real story to speak of and a difficulty that borders on annoying. Yep. Sign me up. This game is quite a treat and the extreme difficulty is balanced by the reward of having cleared a section. There are no saves in the game, and you can’t pause at any point in time. If you die right before the end of a section, you have to start that section over again. There’s a currency system in place to gain experience, and it’s done quite well. If you haven’t subjected yourself to this, you absolutely must. There’s a sequel out now that I plan on getting at some point. Just have to finish the part I’m stuck at. This game is insanely frustrating and extremely addicting. You can blame this on the mechanics of the game, which are closely modeled after MMOs. The only difference here though is that if you don’t have a handle on the stats for your characters, you won’t get very far. I find myself even at 3/4 of the way through the game saving before every major encounter so I don’t have to start the whole area over when I inevitably die. Part of me wants to just quit this whole game for good, but the other part of me needs to know how this thing plays out. I’m not very far into this game, and already I’m hooked. It reminds me of my favorite first-person horror shooter Clive Barker’s Undying and lays the creepy atmosphere on thick. The story seems like it will go in interesting directions. I’ll have to try and make more time for this in the coming days.